Although pomegranate is not native to the UK, nor is it cultivated here, I thought I would add it for January as it’s a fruit that’s in-season from September to February and is perfect as part of your post-Christmas recovery. Pomegranate is one of the chosen foods to gain the crown “superfood” because of its medicinal properties. As January is a typical month for starting afresh and making new resolutions, why not add “eat more pomegranates” to your list! Pomegranate juice has been attributed to many health benefits including blood pressure reduction and lowering of bad cholesterol, but studies on this are small (as is often the case with food nutrients). It may also prevent the build-up of plaque in the arteries for people with early heart disease. Pomegranate has also been described as having anti-cancer properties, although there are not enough studies to suggest one way or the other (as many studies are on mice). Drinking pomegranate juice is generally safe, although always ask your GP about any restricted foods if you take prescribed medication. Always buy 100% juice where you can; pomegranate juice is widely available as a “drink”, with added sugar and fruit juice concentrates from other sources. So always check the label before buying. Remember, pomegranate juice is high in natural sugars, and so the calorie content is high. Stick to 150ml of any fruit juice per day, but making pomegranate your juice of choice can be a healthy move. Many fruits and vegetables contain unique compounds called “polyphenols” that are showing to have strong antioxidant properties. In pomegranates, the polyphenol that is responsible for its antioxidant behaviour is punicalagin. What makes this particular compound unique is that it is water soluble and uptakes easily in the body and is why pomegranate juice is often researched for its health benefits. 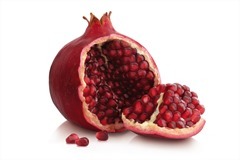 · The seeds in pomegranates work well scattered onto salads to give them a lively zing. · You can sprinkle the seeds onto desserts as well, such as frozen yoghurt. 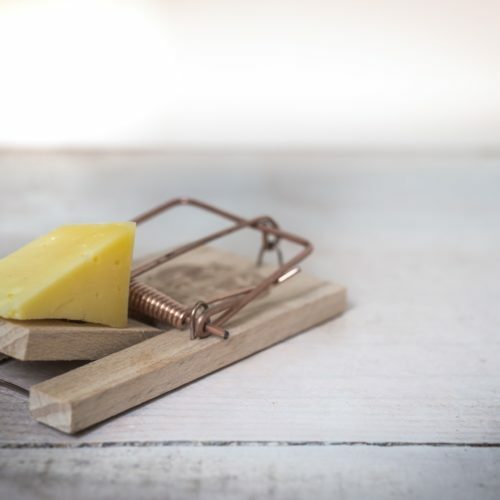 · Serve with goat cheese on bruschetta for a colourful snack at parties or as a starter. · Pan fry chicken with pomegranate seeds and ground coriander. · Stir through couscous with fresh herbs and serve with fish.